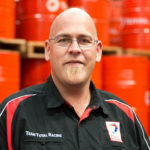 Tony has been with Oil Intel for eleven years and heads the Technical Team which provides technical support to the company’s seven branches and the regional distributor network. His role includes lubricant recommendations, product training, fleet surveys and audits. Tony comes from an automotive and engineering fabrication background, and has in the past been responsible for the company’s logistics. To contact Tony via email please click here or call 027 593 4999.